We have gained huge appreciation amongst the customers by providing a flawless assortment of Tamper Proof Courier Bags that is designed in adherence with industrial quality guidelines. 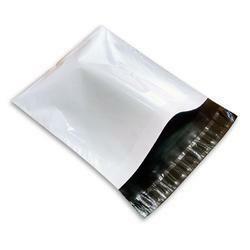 We have available plain courier bags in all sizes. We are offering Orange Courier Delivery Bag to our clients. Our Self Seal Temper proof bags / courier bags are unique in a way, that no body is offering them in 100% recycle plastic a step forward towards Environment, These bags are as good as virgin but low on pocket, These bags are also available in 100% Compostable Plastic too. Nature friendly.